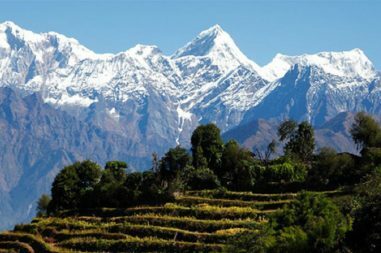 Nepal is the land of extreme diversified natural and cultural attributes. In a space of about 15 minutes of the flight time people can experience the varieties of the ethnic people and differences in the geographical set ups. One of the extreme remote yet visually attractive places is the Dolpo region of Nepal. Bharal Adventure Pvt. Ltd. is pleased to present the Lower Dolpo Trek for the extreme trekkers who love to travel to the remote places of Nepal and witness the culture of the Himalayan people. Since, Far western and Mid western region of Nepal is still in the traditional phase in terms of culture and development. There are numerous villages in these parts of Nepal which requires the basic infrastructures like education, transportation and other facilities. So, the trekking can be done in these parts after the active involvement of the government of Nepal. Lower Dolpo Trek is the package which Bharal Adventure has designed to cater the people of this region the much needed economic boost. The beautiful Shey Phoksundo National Park is worth visiting at least once in a lifetime. The Himalayan animals and the alpine forests environment makes this place the fairyland of Nepal. The flight from Kathmandu to the Nepalgunj which is the flatland area of Nepal. Hence, we will head towards the Juphal of the Dolpa which takes you to the most remote part of Nepal. The walking starts from this smallest airport of Nepal. So, The major destination of this trekking is the Nepal’s deepest Lake Shey Phoksundo Lake. The trail along the Phoksundo River provides the ample time for the trekkers to understand the remoteness of the Nepalese society. Yet the camping and quality logistics department of Bharal makes your trip the comfortable one. The documentary made by Eric Vallie called Caravan brought this place into the spotlight. This place has attracted lots of trekkers nowadays. So, Book the off the beaten trekking trails package and travel the less explored region of Nepal. Therefore, Lower Dolpo Trek is the ambitious trekking in Nepal package put forwarded by Bharal Adventure Pvt. Ltd.
We will provide 3 star hotel in Kathmandu and teahouses during the trek. All accommodations are on twin-shared basis. Single supplement will be served on request and will cost an additional USD 350. Bharal Adventure will arrange rooms with attached washrooms; however, teahouses in some remote places only have shared washing and toilet facilities.Also note that single rooms are readily available in Kathmandu and the trekking regions at lower elevation but it might be difficult to find them at higher elevations. This Dolpo region is stunningly beautiful, but equally fragile. Future generations have just as much of a right to appreciate it as we do and so the tourism industry has an obligation to protect and preserve it. We employ a 'zero impact' policy on the natural environment and the traditional communities that live there. We enforce a number of do's and don'ts, and our experienced staff can advise you on how to minimize your impact. Lower Dolpo Trek’s itinerary is planned with a high degree of awareness of AMS (Acute Mountain Sickness). A separate day is set aside in Do Tarap for acclimatization. Going up at higher altitudes too fast causes a medical condition serious enough to result in death. The higher the altitude, the less oxygen will be in the air. For example, at an altitude above of 5000m, there is 50% less oxygen than at sea level. Therefore, our body needs many days to adapt to an environment with less oxygen. Bharal Adventure advises guest(s) with known heart, lungs or blood diseases to consult their doctor before traveling. Mild headaches, fever, loss of appetite or stomach disorders are symptoms of AMS. Check out "Altitude illness" by Dr Jim Duff. . Bharal Adventure's itineraries are designed to try to prevent AMS as much as possible. However, it is important to remember that some visitors are more vulnerable than others. Lower Dolpo Trek is categorized as a difficult trek. In such trek, you are likely to walk for 6-7 hours, cross steep, hilly terrain and occasional high passes of up to 5500m. You are likely to be in a remote environment with extreme weather on some days. You will also be facing high-altitude air with low levels of oxygen. Therefore, previous trekking experience, physical fitness and a positive attitude are essential. Exercising and jogging regularly for some weeks prior to the trip is a good idea to enhance our strength and stability. Past hiking experience is fundamental but no technical skill is required for this trip. It is vital for participants with pre-existing medical conditions such as heart, lung, and blood diseases to consult their doctor before taking the trip. It is also advised that you inform Bharal Adventure about your medical condition before booking the trek. 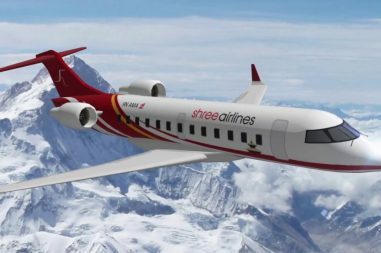 On the third day you will be take a flight to Nepalgunj from Kathmandu. Nepalgunj is a vibrant city located in the Mid-Western Region of Nepal. The flight duration is around 60 minutes and in that time you will reach the lowlands of Terai from the Capital. Nepalgunj is nearby the border Indian states of Rupediya and also Baharaich. The rest of the day you will sightsee around the local bazaar using horse cart which might come as a wonderful moment for the foreigners. Bageshowri Temple in Nepalgunj is quite popular and a visit to the Hindu temple in the evening will be a good thing to do the evening. Overnight stay at a hotel. A 35-minute flight from Nepalgunj Airport takes you to Juphal on the fourth day. The flight is awesome as the aircraft flies over the mountain ridges, the beautiful valleys and the majestic-looking mountains. Jhupal Airport is a small airstrip amidst the mountains and the hills. You will also get a first-hand experience of the geographical diversity of Nepal as in an hour or so you will reach a small village amidst the mountains from a hot city of Tarai. 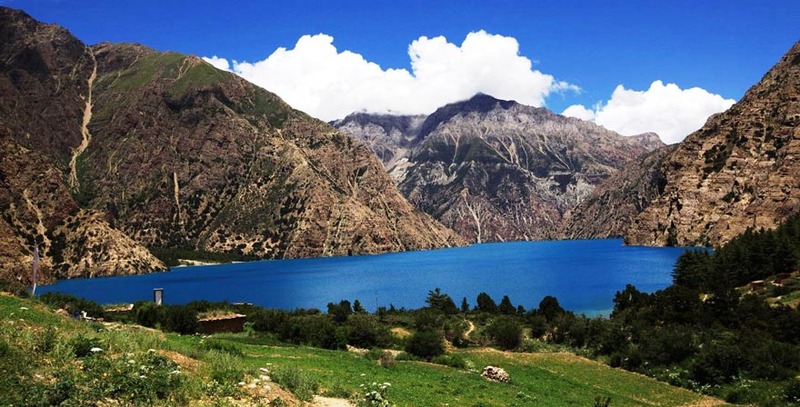 From Jhupal, you will walk for a few hours until you reach Dunai, the headquarters of Dolpa district. Overnight stay at a guesthouse. On the fifth day, we start our trek from Dunai to Tarakot after having breakfast in the morning. The trail follows along the Thuli Bheri River and amazing landscape of the Dolpo region which by now starts to show its colour. Mostly the people inhabiting in Dolpo region are the ones from Tibetan descent and the Sherpas. The landscape might get rough and rocky at some places. Road service has not yet reached the Dolpa region and Dolpa happens to be one of the most remote areas of Nepal. Guesthouses are sparse and hence we have to carry camping materials if the situation demands. Overnight stay at a guesthouse/tented camp. From Tarakot, the trail attains altitude gradually. On our way, we come across many local villages and Buddhist monasteries. We also cross several suspension bridges over the Thuli Bheri River. There are several Tent-hotels along the way and we can stop by and fill up our stock of snacks when needed. Tent-hotels also serve food and drinks to the travelers. Items like biscuits, noodles and other consumable items can be bought from such shops. Overnight stay at a tented camp. The next morning we take tea and breakfast at the camp itself and resume our journey to the Dolpo region. We reach Nawarpani after about four hours of adventurous trek from Laini. It is a comfortable trek as the trail sometimes passes through pine forests, and yet at other times through fir trees. Tent-hotels are available along the way to Nawarpani. Overnight stay at Nawarpani in a tented camp. From Nawarpani, the landscape suddenly seems to have changed as we now approach a small settlement area in between the huge mountains. A big Buddhist monastery is present in Tarap and almost all of the people in Tarap are inclined on Buddhism or they are the descendents of Tibetans. Traditionally, the women of this region wear dark dresses with colorful aprons weaved from yak wool. The women also wear bracelets made from big shells as part of Tibetan tradition. Taking with the local people also helps the foreigners to learn about the traditional Sherpa and Tibetan culture. Overnight stay at a tented camp. The next day of the itinerary, we will be taking rest at Tarap for acclimatization purpose, getting used to the conditions and the increasing altitude. You can travel around the village in Tarap while conversing with the local villagers. Overnight stay at a tented camp. After spending a day at Tarap, we resume our trek the next day. While on the way we also happen to cross the ‘Crystal Mountain School’ which is educating children from the nearby region. It is funded by a French NGO. A further one hour trek from the School takes us to the Numa La Base Camp situated at the altitude of 4440 meters. There is a Buddhist monastery in Numa La Base Camp and we will be staying in a temporary camp on day 10 at Numa La Base Camp. A tough day’s trek awaits us on the eleventh day of the trek as we cross Numa La Base Camp. It is better to start early so that we can cross the Pass before weather deteriorates in the afternoon. Morning time is generally favorable to cross the Pass as it is easier and safer. Besides, we also have more chances to peek at the mountains for later in the day they might be covered by clouds. It’s a long and strenuous climb and hence you are advised to go slow and steady breathing as much air as possible. On a clear day, it is possible to view Dhaulagiri, Annapurna, Manaslu and Kanjirowa (6883 m) mountains from the Pass. Overnight stay at a tented camp. The next day, we cross another Pass and hence another tough but a beautiful day lies ahead of you. Again, an early beginning is advisable. A good 2 hours of trekking after leaving the camp takes us to a High Camp which is close to the Baga La Pass. From then on, the Baga La Pass is quite close and an hour’s trek takes us to the Baga La Pass which also offers uncluttered views of mountains like Kanjirowa and others. Overnight stay at a tented camp. Trek from Baga La Pass to Ringmo is quite long, but the trail is easier and we down climb now from an altitude of 5000 meters. We walk past Yak Kharka and Maduwa Khola and the path is beautifully carved out from the rocks. Then we cross a thick Pine forest and while on the way we also see several nice waterfalls. Ringmo is a nice little place where we will be camping for the night. From Ringmo, we trek until Shey Phoksundo Lake, the deepest lake in Nepal. Shey Phoksundo is quite popular for its exotic location and for the pristine natural beauty it commands. The tiredness from the trip disappears once you behold the bewitching beauty of the grand lake. Upon enjoying the great view of the magnificent lake, we stay overnight at a tented camp. We will mostly be descending on day 15 as we go further downhill. The destination for today is the village in Shyanta and we spend the night there in a tented camp. We trek further down to Jhupal from where the entire trek started almost two weeks ago. For the rest of the day we will stay at a guesthouse in Jhupal while preparing for the flight to Nepalgunj next day.